Robert “Dan” Stone, 56, a Hailey volunteer firefighter, passed away on April 11, 2013, from a fall while mountain biking near Alpine, Calif.
Dan was born in Bishop, Calif., to Cecelia Rooney and Rocky Eugene Stone. Dan himself had three sons: Rocky Stone Jr. (deceased), Dustin Stone and Matthew Stone. In his early career, Dan was a welder, eventually owning a welding company in Fernley, Nev., with his two brothers, Jack and Thomas. He retired from welding in the early 1990s and moved to St. Croix, Virgin Islands, with his family. 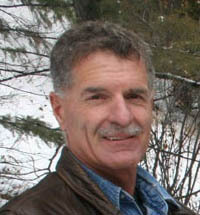 Dan enjoyed SCUBA diving and became a master diver and instructor for local dive shops in St. Croix. In 2003, Dan moved to Hailey, which was his mother’s hometown, renovating and living in the Rooney family home in Old Hailey. He traveled between Hailey and the Caribbean, and became a United States Coast Guard Merchant Marine officer in 2005. He worked on a number of vessels as ship’s captain in the Turks and Caicos Islands, Trinidad and Tobago and the Dominican Republic, as well as being the captain of a research vessel in the Caribbean. Dan joined the Hailey Fire Department in the summer of 2011 and quickly became a well-liked and respected member of the department. In his free time, Dan enjoyed riding his Harley Davidson, traveling, all outdoor activities and being with friends and family. He had a zest for life that was apparent to anyone who met him. He was content with living life in the moment. Dan was a wise and wonderful brother, father, grandfather and friend. Knowing him was an honor and a blessing. Dan is survived by his brother Jack Stone of Darwin, Calif.; two sons, Dustin (Emily) Stone of Alpine, Calif., and Matthew (Amanda) Stone of Hampton, Va.; and five grandchildren: Rocky Mackay, Kaylan Stone, Charlotte Stone, Wyatt Stone and Anakin Stone. He was preceded in death by his parents, his brother Thomas Stone and his son Rocky Stone Jr.
Services were held at Our Lady of Perpetual Help and Dan was laid to rest in Pioneer Cemetery, both in Bishop, Calif. Donations can be made in honor of Robert Daniel Stone to The Ocean Foundation Marine Mammal Fund or the Coral Reef Fund.